At GroomSocks.com we strive to reach Brides to be and their Grooms all over the globe! 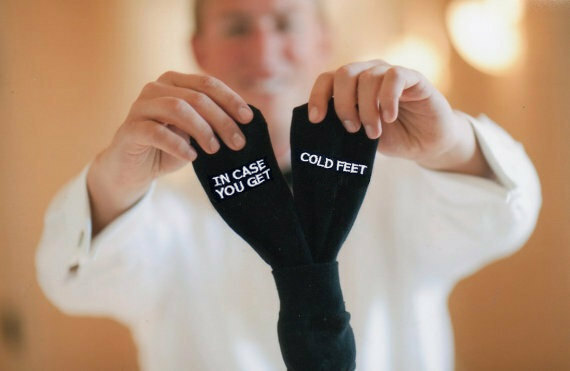 We offer socks and tees for Grooms in a variety of colors with embroidered verses! Best know for IN CASE YOU GET COLD FEET, and also specializing in other popular verses for Dad's, 'BY YOUR SIDE EVERY STEP OF THE WAY'. Along with couples and bachelor tees, we have a little something for everyone!